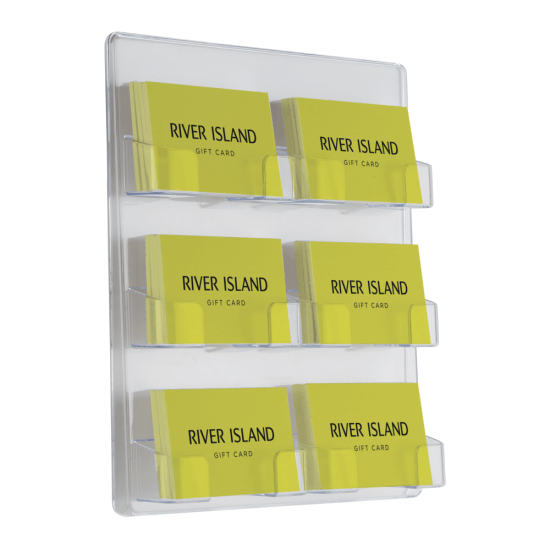 This Wall Mounted Business Card Holder features six pockets for landscape cards. 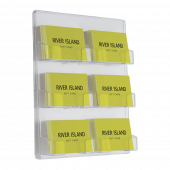 Business card holders can be used in various environments from retail to hospitality. 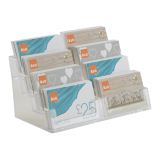 Display gift cards, loyalty cards or traditional business cards within the unit. How can the unit be wall mounted? 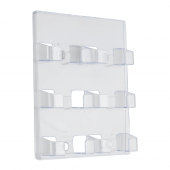 The business card holder features pre-drilled holes for instant wall mounting, we do not recommend using adhesive. This unit is not suitable for use with slatwall panels. What are the overall dimensions? 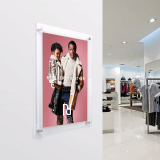 The dimensions are 216mm W x 248mm H x 40mm D. It has a 17mm capacity. What is the unit manufactured from? 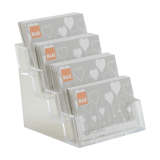 The business card holder is manufactured from clear styrene to ensure maximum visibility of your literature.